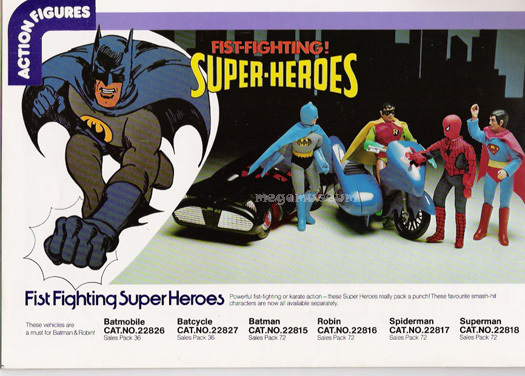 Palitoy enhanced the Mego WGSH Lineup by adding more Fist Fighters than Mego did in the US, popular characters like Superman got in on the action. 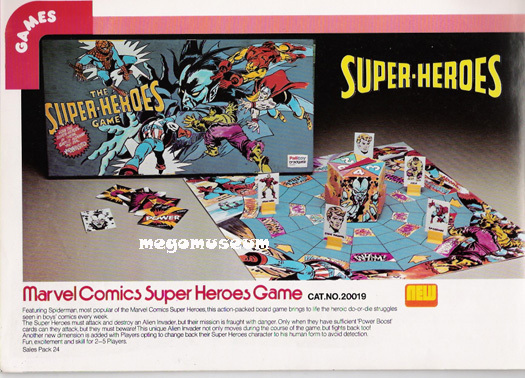 Even the regular Heroes recieved cards with their own individual artwork, A nove that makes them more desirable to this day, the Hulk joined this group in 1978 following the success of the TV series..
Across town rival Denys Fisher created a Comic Action Heroes game using the DC characters so Palitoy enlisted the Marvel characters under their "Superheroes" banner. 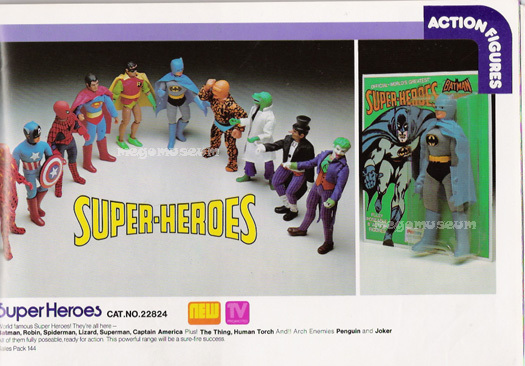 Click here to view the original Palitoy Mego Superheroes TV commericals!